﻿﻿Enter Your Email Below & Receive 3 Free Beats! Call 864-567-0278 or Email tntbeatsxd@gmail.com For more Information! how do I receive the purchased product? You will receive the purchased tracks within 24-48 hrs as download link via Email. In case you do not receive an email within that time frame please contact us! 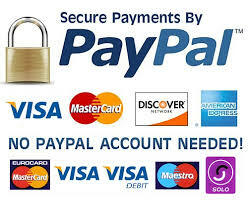 Do you accept other payment methods than paypal? Please contact us via Email and we will discuss further steps. Go to the "BEATSTORE" section above and select a deal of your choice from the Dropdown Menu. In the input field below you can enter the name/s of the track/s you'd like to purchase so we know which track to deliver. Proceed with Paypal checkout and make the payment. What are Trackouts and Wav FILES? Trackouts contain every sound of the beat as separate 'Track' (Drums, Snares, Hit Hats, Instruments, Samples, Vocals, etc) in high quality WAV audio files (Stems). This is beneficial because now your audio engineer will have more control over the editing, mixing and master process of the beat for the best sound possible. How do I credit you as Producer? ​Reference must be made in the Trackname or description of the Project. Custom beats are created ion request and exclusively for You. Contact us via Email to discuss the project and calculate a quote and timeframe.